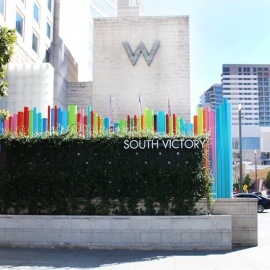 Victory Park is a large district near and partly in downtown Dallas. There are large improvement plans to make the Victory Park region the most urban and upbeat in Dallas. Victory Park is already good at bringing all kinds of people together thanks to their huge venue of sporting events, music and theater performances, exquisite dining, and more. The American Airlines Center is the main host for all of the big events going on and tickets are never hard to find! Victory Park shopping is also a popular pastime because the area is full of shops and beautiful scenery to walk through. The nearby airport brings a large amount of visitors from across the nation and around the world ? so there is always something going on! No matter what you want to do, you will find it in Victory Park!